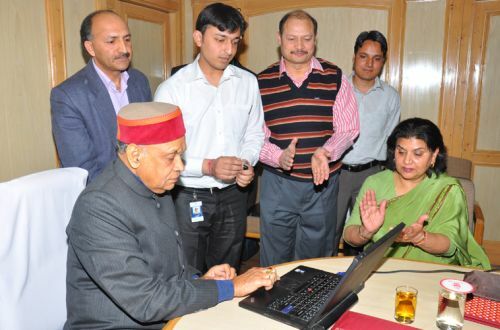 Chief Minister Prem Kumar Dhumal launched e-CST and SMS alerts service to the tax payers of State Excise and Taxation Department. Chief Minister congratulated the Department of Excise and Taxation for providing information technology enabled services to the tax payers of the State. He said that the e-enabled services were the need of the hour and with the launching of e-CST service, dealers would be getting statutory forms essential to avail concessions on inter-state trade, anywhere and at any time round the clock through internet services. He said that on submission of the information on internet SMS alerts would be generated at the time of registration to intimate status of the case. He said that with the launching of the service the dealers would be benefited with saving their times they otherwise had been spending in traveling to excise and taxation offices. He said that the e-CST would be simple and efficient available round the clock in any part of the world. He said that the CST forms on the web portal had the validation status for all purposes. He said that on the other hand, the department would also be benefited with reduction in paper work due to e-services. He said that earlier such statutory forms were being provided after getting the same printed to deliver dealers through district offices and henceforth there would not be any need to get printed forms and submit the same through email services. 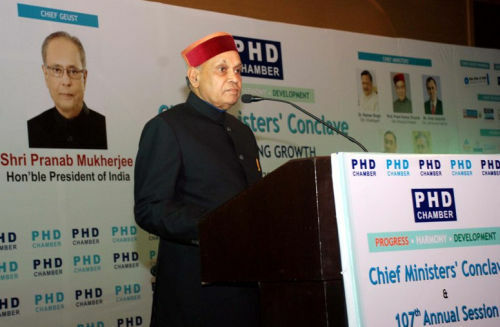 Prof. Dhumal said that with the launching of IT enabled services not only saving time but corruption would also be checked since the dealers would directly be dealing with the headquarter and no interface exchanges needed. He said that additionally the misuse of the forms will also be checked and revenue generation would increase substantially for the department. He underlined the need for making optimum use of the IT enabled services so that the benefit could reach the stakeholders. He lauded other IT enabled services being provided by the Department to the tax payers. Earlier, Commissioner, Excise and Taxation J.C.Sharma, welcomed the Chief Minister, and detailed the benefits likely to accrue to the tax payers with the launching of IT enabled services. Chief Minister was also presented congratulatory note of Tanmoy Chakrabarty, Vice President and Head, Government Industry Solutions Unit, Tata Consultancy Services, for launching e-CST and SMS services. Harinder Hira, Chief Secretary, Dr. Srikant Baldi, Principal Secretary Finance, Excise and Taxation, Shri Subhashish Panda, Special Secretary Finance and Director, Information Technology and other senior officers of the Department were present on the occasion.